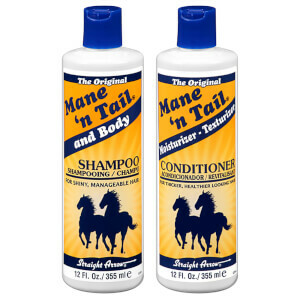 The Mane 'n Tail Original Shampoo is an innovative horse to human crossover shampoo, originally created to keep your pony's hair soft and shiny. Fortified with effective cleansing agents, the lightweight shampoo forms a rich lather upon contact with water, helping to eliminate impurities without stripping the hair's natural oils. 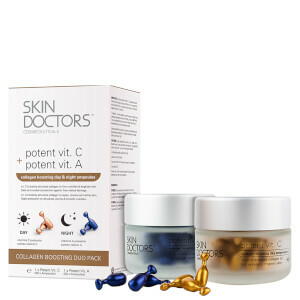 Improves manageability and tames unruly strands, whilst restoring body and shine to leave hair smooth, calm and healthy-looking. Safe to use on both human and horse hair. Apply to wet hair and massage into a lather, then rinse. Water/Aqua/Eau, Sodium Lauryl Sulfate, Cocamidopropyl Betaine, Sodium Chloride, Cocamide MEA, Glycol Distearate, Propylene Glycol, Fragrance (Parfum), Hydrolyzed Collagen, Citric Acid, Methylchlorisothiazolinone/ Methylisothiazolinone, Butylphenyl Methylpropional.